Discussion in 'Forza Horizon 4' started by GTPNewsWire, Feb 8, 2019. 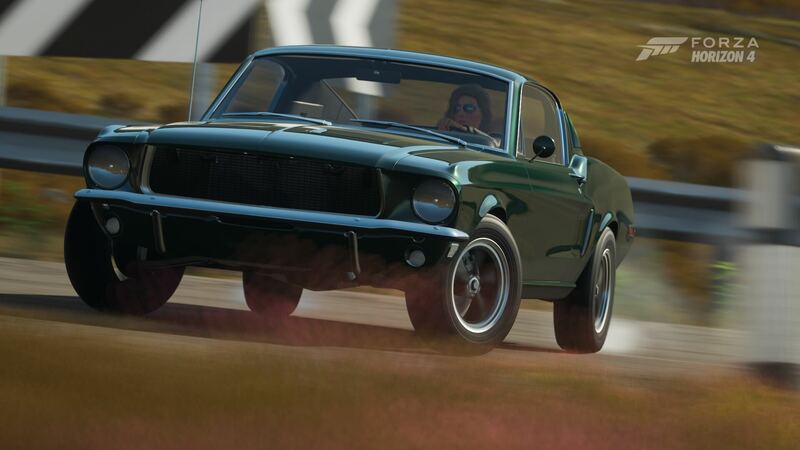 This article was published by Kyle Patrick (@SlipZtrEm) on February 8th, 2019 in the Forza Horizon 4 category. 800 points for the Civic Type R They could at least introduce some more varied Forzathons if they're going to start asking for crazy prices for the vehicles. I know where most of them are going to end up based on the starting point alone, even on Fortune Island. JoshMead, CarGuru, The Chosen One and 2 others like this. Supposedly, the cost of Forzathon shop items are adjusted to the average amount of Forzathon Points that users have. So as more players save up thousands of points, costs will continue to increase. Eventually, we might see cars going for many thousands of FP. So because some people are storing them up as they already have most of the content, the rest of us have to pay more? What an amazingly stupid system. The average will be artificially higher due to players hoarding points. I can't even begin to imagine how frustrating these prices are for non-VIP players. JoshMead, zargdin, CarGuru and 2 others like this. Even as a VIP player it's going to be hard to save up the points. I have absolutely zero interest in doing Forzathon Live events and just stick with the challenges. I don't think I'll get enough points each time to snag a rare car. CarGuru, CaptainTNT and VXR like this. So because some people are storing them up as they already have most of the content, the rest of us have to pay more? I've got a problem with the two Car Pass cars this week. They were released yesterday, 2/7/19. I could not get them yesterday. This same thing happened last week. I had to wait until Friday to get the cars. However, this week, I still cannot get the two cars. I have quit the game and launched it again. I have restarted the console and launched the game. I still cannot get the Transit and the Mustang. What is the problem and what can I do to solve it? I'll go a wee bit further than @Moglet: that's profoundly stupid. So instead of, you know, offering things people may want to spend their points on (instead of repeats or things I can get/already have from a wheelspin), you're going to hike up the prices to maintain the economy? First of all, what economy? The Forzathon Shop is literally the only thing in the entire game that uses this points system. If anything, get rid of the stupid vanity items, or at least throw some license plates or exclusive wheels in the mix. I'm hoarding points because you're not giving me anything to spend them on. Your answer is to then double down, make things more expensive, and make me not want to spend points even more? That's...that's not...that's not solving the problem, it's exacerbating it. zargdin, VXR, CarGuru and 6 others like this. Myself I gone on strike from buying any cars in the Forzathon shop unless things change since I never usually store many points at a time. What points I have acquired, I have being using for Super wheelspins. First of all, what economy? The only thing I can really think of is the Auction House. Not so much the FP economy, but the actual credits. Which at that point, why not just make them single purchases each time it comes up, and if it comes up again, you'll just get one more purchase. The Chosen One likes this. Try deleting the small Car Pass file and redownload it. Most of the things that are "problems" are only so because Turn 10 or PG made it that way. Take the Auction House for example, it was removed after FM4 for reasons I'm still not quite sure of, and then returns...exactly the same. The only difference is whatever problem that existed before that warranted its removal is worsened by the fact the storefronts for liveries and tunes are now...some weird, indirect business transcations where the game gives you money depending on how popular it is. Remember up to FM4 where you could sell your own work for x amount of credits and people would either buy it or not? Yes, cunning thieves could unlock your work and claim it as their own, but why not just fix that? Have you seen some of the curated designs? I have no words sometimes because even I can make liveries better than some of the junk that's curated, and I have zero livery-making talent outside of very simple things. I've gone on a tangent but it all ties in together. L8 Apex, VXR, CarGuru and 1 other person like this. I have over 1K in forzathon points saved up lol. Wish I had this many back when the 812 was on the shop for only 150 FP. Just imagine how much I could've made by selling many of them on the auction house, considering they go for 1.5 million. But with the way they are stupidly trying to fix the "economy", the next time that rarri shows up... who knows how much more it'll be. That worked. For some reason, I had to try it a couple times. Thank you. Until backlash becomes large enough that PG changes their mindset about the #Forzathon shop, I don’t recommend continuing to hoard up thousands of points in hopes of “something better” coming along. That “something” will cost multiple thousands of FP, and in the future we will continue to see prices increasing for every item. CaptainTNT and VXR like this. While I understand exactly what you're saying and why, I'm the exact opposite: there's no way someone, anyone should be forced to spend hoarded points because of a problem PG created. So what if people are rolling in points? They buy everything all in one large lump sum every week for x number of weeks? Again, so what? You don't want cunning people to make a profit (what even is this train of thought to begin with?) off the Auction House with several exclusive vehicles? Maybe, and I'm spitballing here, you limit the number of vehicles any one person can pick up from the shop! Maybe I'm picking the wrong hill to die on here, but they created the problem and they can fix it. I'm not going to. ImaRobot, HyperSpeeder, VXR and 1 other person like this. I am recommending to hold back on hoarding points because of how the developers are deciding to set the prices of #Forzathon shop content. A quick fix that'll likely tick off a lot of players would be for PG to simply wipe everyone's ForzaPoints at the start of a season. Its the only fix I can see outside of those already mentioned (limiting the number of purchasable prize cars), and outright fixing their botched ForzaPoint system to begin with, which I don't see happening. I being using up as much of my points as I can until I am near zero or at zero once I accumulate points as like a small protest to these absurd Forzathon shop prices. I dont ever stockpile my points much at all any I have I usually use. Which I have for now on wheelspins. T10 had the solution. You can only buy a Specialty Dealer car once each week. But Playground is not wise. I swear this game is living off casual hype and sharp gameplay. There's some nice things going on and I'll be the first to defend the game against unwarranted criticism (especially from rival platform owners) but there's plenty that leaves you asking "why did they take the worst possible decision?" or "why are they unable to see this is an issue?" Take car sounds for example. New engine is made by Playground (JONK1969 said so). When it was first implemented (Forza Horizon 3) was when the sounds began taking a nose dive in quality. There's still great sounding cars in the game but with their limited library they take some puzzling decisions. L8 Apex, Techlet, CarGuru and 1 other person like this. I earn however many points I need to buy what I don't have from the shop each week, and that's it. The most I've ever "stockpiled" was about 500 points, because there was a period of about three weeks where I owned everything. The idea that they price the stuff in the shop based on data around how many points people have banked, would seem to be contradicted by the fact that the FE cars in the shop haven't really gone up that much in price - it's the "other" car each week that is getting expensive. It used to be the other way around. It's not 100% but this list covers just about everything. 1) Some cars share sounds (e.g. Skylines, V60 and M4 use the same sound, Renault 5, Peugeot 205 and Delta S4 use the same sound, Mugen CRX and Fiesta XR2 use the same sound), so some will be missing from this list. This is also why the 1995 Mustang and Chevy SS are listed despite not being in the game, although I'm not sure which car uses their sounds. 2) "GS" refers to the new sound system which is known as Granular Synth. 3) The 2002 Skyline is listed as having a GS sound bank but it's no longer used. It used to be the same sample as the BMW M4 and other Skylines, but now it uses an older style generic inline 6 sound. It's good to be able to see the names of all of the sounds I keep hearing on a ****ing loop since they still haven't fixed the audio issues. The Chevy SS is listed because its engine is in the game as an engine swap upgrade, so all the cars swapped with this engine will use its sound. I believe the 2003 Cobra R also uses this sound. The Renault 5 sound seems to be reused in several old European turbocharged cars, one of them being the BMW 2002. This sample was introduced in the Fortune Island expansion and replaced an old sample both Renault and Peugeot used. In its making there's a suspicious hint of some Audi 5 cylinder as a background sample, similar to how they used the Ferrari V8 to add some bass to the Ferrari V12s. The 1995 Cobra R sample is probably used by the 1993 Cobra R, since these cars share samples in FM7. GS is the new granular synth engine but some cars don't seem to match. The M3 E36 in the game doesn't sound like a real one. This sample is reused in the M5 E28. Pitch does not match engine rpm (sample pitch is lower). Other BMWs seem to use a variation of this sample as well, but with correct pitch (M1 and M5 E34). 650S is glitched, it seems to have great distortion in the higher revs. Remains unfixed, I believe. Also interesting to note that Viper is GS... Which means that Playground really does believe this is how the Viper should sound, lol. TBH the interior sample for a 2013 GTS sounds pretty accurate, but the exhaust... not so much. Are these all the samples or did they mix them up with the older ones once again? Most past cars like Corrado, NSX, Cuda etc. are using samples dating back to FH2. Those are just the new GS samples, there are a couple of hundred samples in the old style which I haven’t shown.